As technology blurs the line between home and office, today’s workplaces must compete with living spaces of all kinds, including neighborhood cafes, living rooms, and libraries. Wood-based laminate storage helps to create the residential ambience that is craved in today’s working environments, and can do so with serious advantages in areas of aesthetics, quality, durability, and sustainability -- all reasons why it remains the customer-preferred specification in commercial as well as 24/7 dispatch environments. Laminate furniture brings the comforts of home to the office without sacrificing the durability needed in a high-traffic, commercial environment. The clean lines of Watson storage credenzas, pedestals and lateral files in combination with a modern yet versatile color palette delivers a superior aesthetic diverse enough for interior spaces of all kinds. Wood-grained and patterned laminates can bring an organic, natural element to sometimes stark commercial environments. Finished in the very same grade Wilsonart, Formica or Pionite laminates used throughout commercial and residential spaces, wood-based laminate furniture offers tactile warmth and a pleasant sensory experience that hearkens to the home. Grained or textured laminate options, such as Wilsonart’s SmartGrain, are available, and many laminate manufacturers can partner with design teams to create custom graphics or patterns. 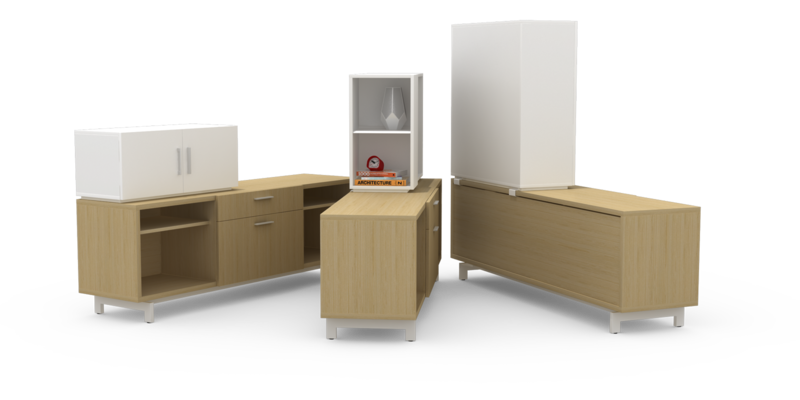 Other storage product features, such as multiple drawer pull options, height and depth variations provide control over sight lines, privacy and the overall office landscape. Steel components, on the other hand, are typically powdercoated or painted, producing a light-reflective surface that is prone to chipping and denting over time. Cold to the touch, steel storage units produce a characteristic sound when opened or closed. Wood-based storage, on the other hand, is more sound-absorbent than steel and can subtly enhance the acoustics of a space. Furnishings must stand the test of daily, high-traffic use in commercial environments. In the case of steel storage components, manufacturers must keep prices low in a competitive market by engaging in “race to the bottom” cost-reduction initiatives. As a result, the craft of hemming and mitering steel cases have given way to lightweight, tinny boxes that clang when closed. 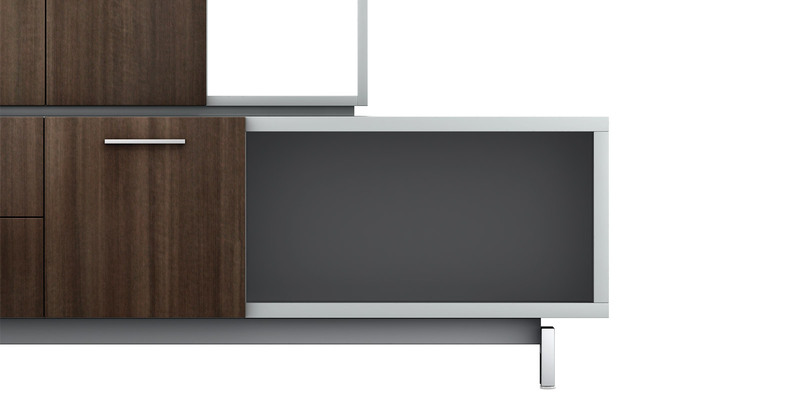 Compared to steel storage, Watson’s credenzas are constructed of 1-⅛” thick premium grade wood core. Sealed on either side with high quality laminates and finished with durable, PVC-free synthetic edgebanding, these units are engineered to resist warping and deflection and durably withstand the stresses of daily commercial use. Our products compete against lighter weight units -- built from 5/8” and ¾” board -- every day and rarely lose on price. As a surface material, laminate is able to resist the surface scratches and abrasions that come with daily use. Steel storage, on the other hand, has no such protection and is prone to denting and scratching, with few options for field repair or maintenance. Fully concealed fasteners, or Mod-Eze clips, are a unique feature of Watson storage components, which adds long-term value by enabling practical field repairs. If damage were to occur in the field, a single panel can be replaced, rather than the entire unit, which helps to control the ongoing cost of maintaining furniture assets. Laminate products are subject to the same testing procedures and standards as steel product lines and must undergo extensive product testing to ensure that each newly designed product meets industry quality and durability standards. Watson’s storage product lines meet all BIFMA (Business and Institutional Furniture Manufacturer’s Association) test requirements. Our largest customers buy Watson because our quality exceeds industry standards and presents the best value in the industry.Our confidence in the long-term durability of our storage is backed by our limited lifetime warranty on all product. We warrant to the end user that our product will be free of defects in craftsmanship and materials found during normal, single shift usage. Laminate storage also possesses inherent sustainable attributes. To support a healthy timber industry and create net-positive, carbon-neutral forests, 37% more trees are grown each year than are harvested. While it is recyclable, steel is also very energy-intensive to produce and repurpose. Steel consumes 4,000 times the amount of fossil fuels to source and produce than wood does -- not to mention releases many times the amount of sulfur dioxide and nitrous oxide. Steel also requires 25 times more water to manufacture than wood. 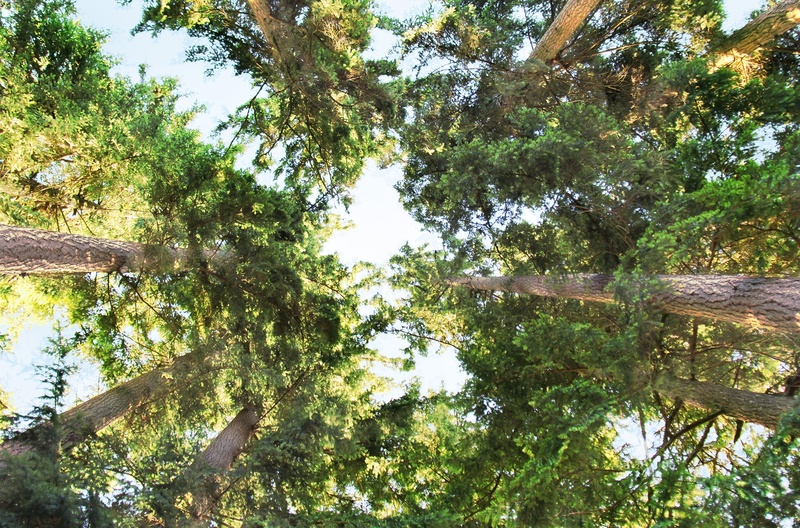 Watson is situated in the great Pacific Northwest where wood is an abundant and sustainable natural resource. The wood core in Watson storage contains a minimum of 92% post-industrial recycled content, and all wood material is harvested and milled within 500 miles of our manufacturing facility in Poulsbo, Washington. Proximity to forests and milling operations minimizes environmental impacts and reduces unnecessary freight and energy expenditures, keeping prices down and our environmental footprint in check. Laminate storage components offer a versatile, residential aesthetic, unbeatable durability, and sustainable attributes at a highly competitive price point. Steel-based storage, may be appealing for cost reasons but after reviewing the advantages of wood-based laminate storage, it is clear that does not provide the long-lasting durability and aesthetic needed to make it a comparable enterprise investment. Learn more about Watson's storage product offering here at this link.